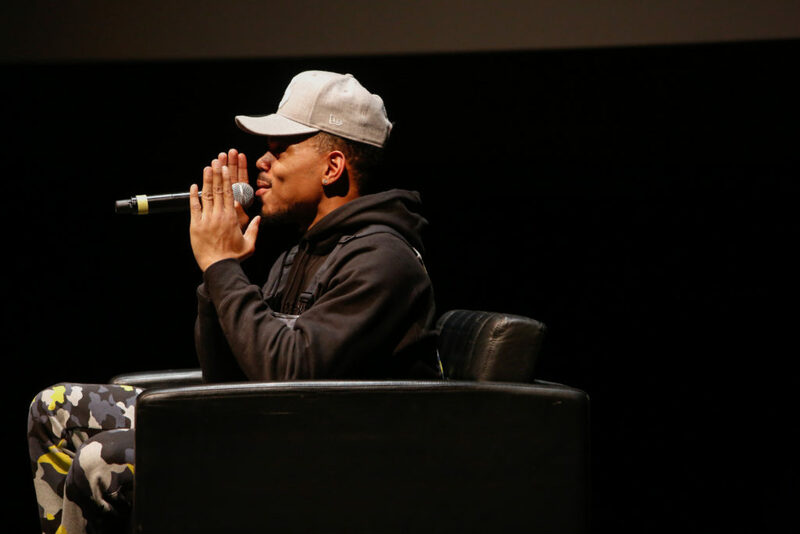 It is no secret that Chance the Rapper loves his hometown of Chicago, but as with many love affairs, the relationship has had its share of ups and downs – hurt and healing. The Chatham-bred rapper expressed his anger surrounding the Chicago Board of Education’s recent unanimous vote to close four Englewood high schools and more during a sit-down interview with former Ebony Magazine senior editor and current Forbes.com contributor Adrienne Samuels Gibbs. The conversation was part of “In Sight Out,” a podcast discussion series between artists and journalists that is curated by Pitchfork Media. Chance, born Chancellor Bennett, called Monday night’s chat with Gibbs a “healing experience.” The two had worked together before on Ebony Magazine’s June 2017 issue – which featured a hatless Chance on the cover and Gibbs behind the pen. 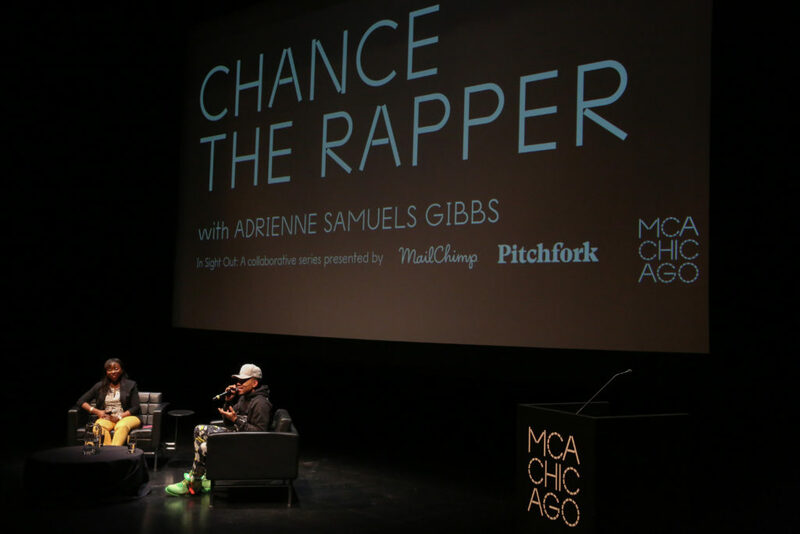 During this reunion, Chance and Gibbs discussed everything from philanthropy and activism to Chicago politics and, of course, his music, including a rumored project with wunderkind actor/writer/artist Donald Glover, a.k.a. Childish Gambino. Here are some of the highlights from their talk. “[Kanye] rents the whole studio. Usually, professional studios are multiple floors, multiple rooms, and he would fill up these rooms with people working on different projects. The reason I use my studio as an office is from watching him do the same thing. There would be rooms with people working on three different songs [for] the same album, but also another room with just pictures and [clothing] samples of different materials all over the walls. There were all of these people on laptops. I don’t know what they were working on but one woman back there was a producer on ‘The Lego Movie’ and she was having a conversation with a dude who was, get this, a magician. They were having a conversation on how to make Kanye West disappear at a show. “I have pretty thick skin, but niggas be calling me an ‘industry plant,’ and it really ticks me off. But I don’t be sounding off. I don’t get on Twitter talking all crazy. But some niggas tried to say that one reason they didn’t trust my authenticity, or one reason they didn’t believe I could do it without the machine, was because I was on Saturday Night Live. For me, it was a personal goal. A lot of people who are on SNL are there because they are promoting something. They’re not pitching sketches. ** This interview has been edited and condensed in some places for clarity.